Want readers to keep coming back to your site? 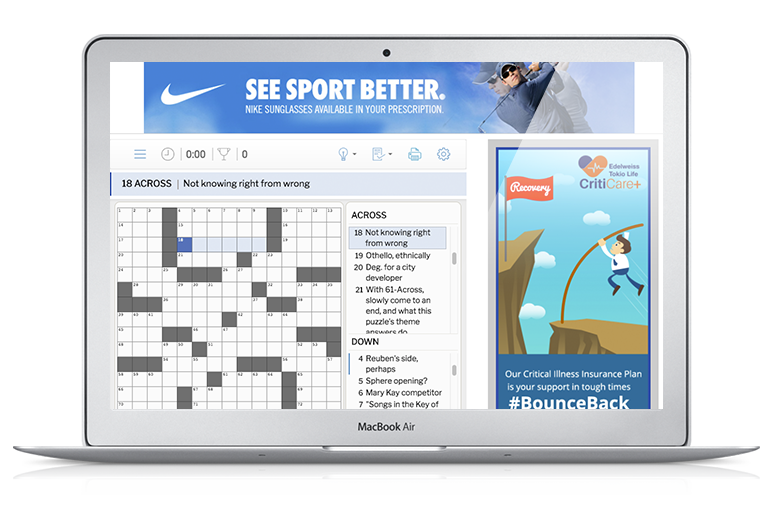 Use PuzzleMe™, the best HTML-5 based crossword platform on the Internet. Simply embed our player anywhere on your website, and tell us how to theme it to make it look like a native page. No more broken Flash or Java links! You can monetize game plays as your users enjoy a slick experience on any device. The average time spent online on a crossword puzzle is in the range of 15-20 minutes. If you have a source of print puzzles from a syndicate such as TCA or Creators, PuzzleMe can import it easily. If you get your puzzles from another source, contact us and we can help! If you are a syndicate and want to make your crosswords playable in the best online crossword player, contact us! We can also help independent crossword constructors. Embed your puzzles on your site or blog using PuzzleMe. See live examples. Monetize traffic with your own high-CPM video pre-rolls & targeted display ads. Embed the PuzzleMe iframe on your page and run banner ads and promotional boxes around it. You can also monetize crosswords with subscriptions, sponsorships, or native advertising. A single line of code is all you need to embed crossword puzzles on your websites, newsletters and blogs. Once set up, PuzzleMe will directly ingest puzzles, publish them at the right time and manage their lifecycle. 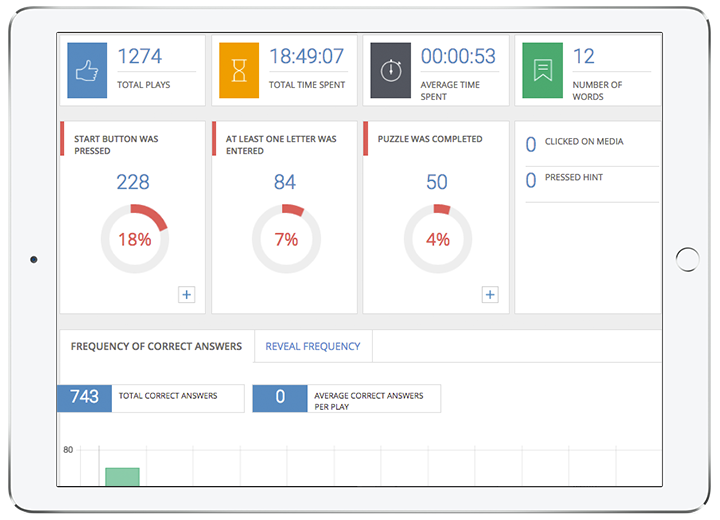 Get detailed analytics of engagement, game completions, sessions per users, sessions by browsers, device category, audience behavior & much more. PuzzleMe is designed to delight users: It provides a smooth experience across all platforms including Windows, Mac OS X, iOS and Android. Customizable colors and fonts make PuzzleMe look and feel native to your website. PuzzleMe can be used in multiple languages, including Spanish, French and Portuguese. Ask us if you’d like support for your language! Our puzzle picker schedules your puzzles for release automatically. Run as many puzzles in as many series as you like. Let readers pick which puzzle they want to play. Odd shapes? Rebus squares? Circled or shaded letters? Barred grids? No problem! PuzzleMe supports all types of crosswords.